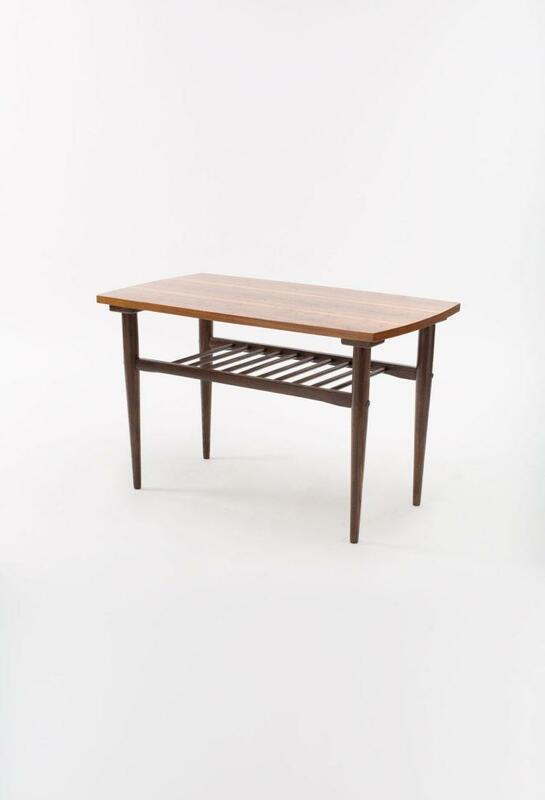 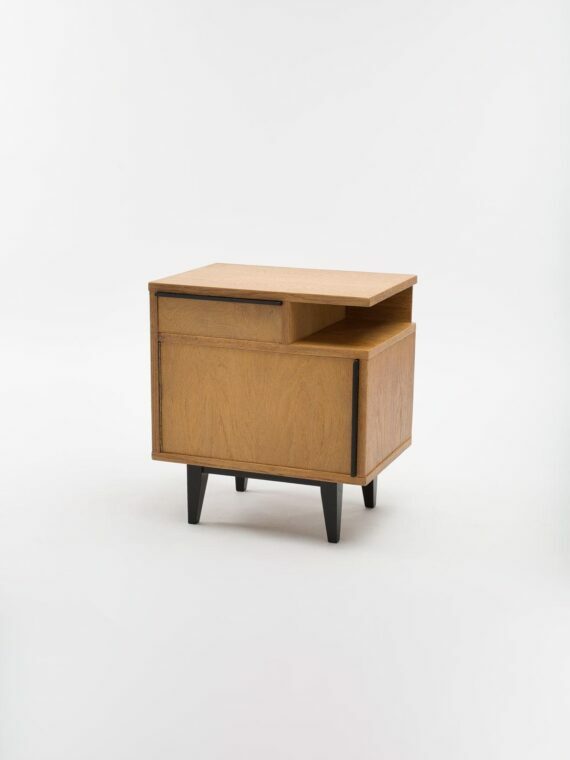 Created in the ’70s by Wielkopolska Furniture Factory (Wielkopolska Fabryka Mebli). 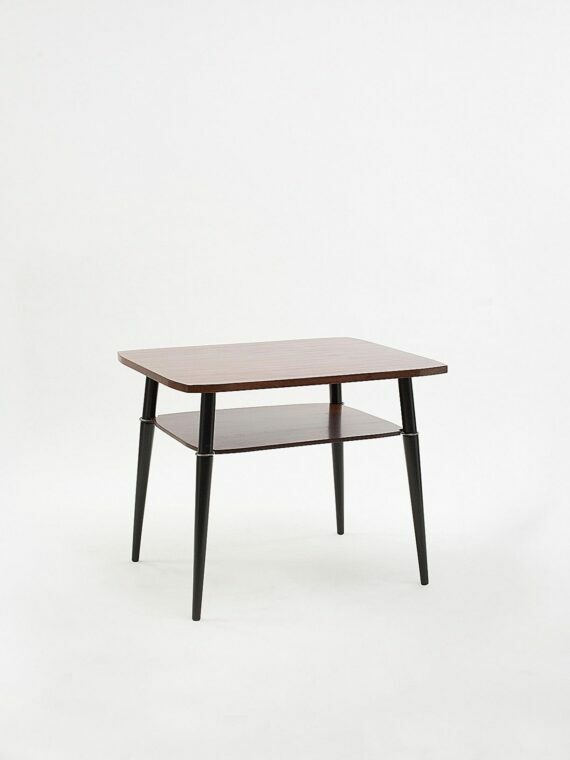 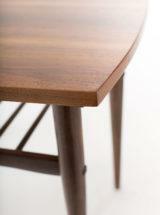 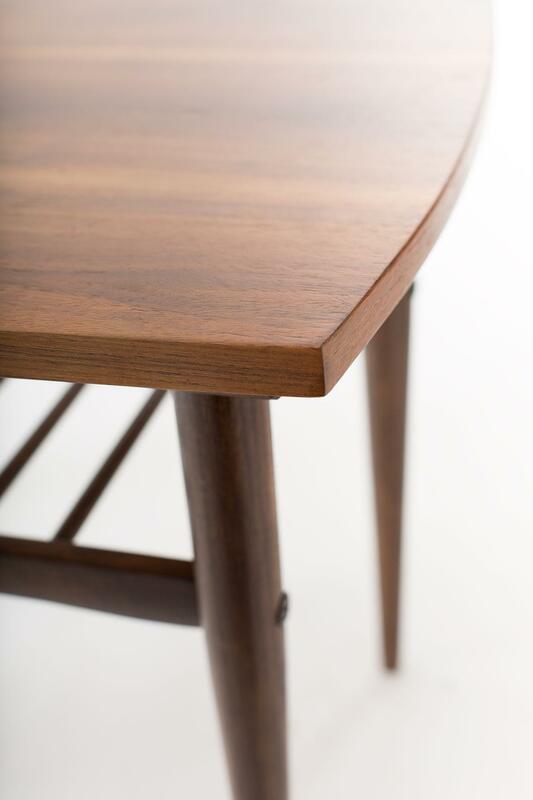 The top of the coffee table is made of fiberboard covered with beautifully grained mahogany veneer. 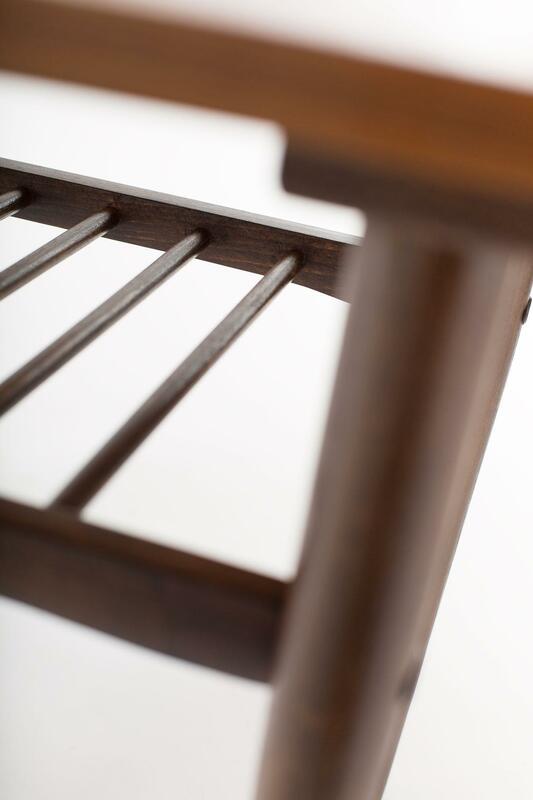 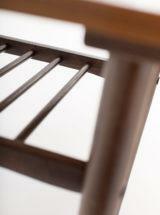 The legs and openwork shelf are made of beech wood. 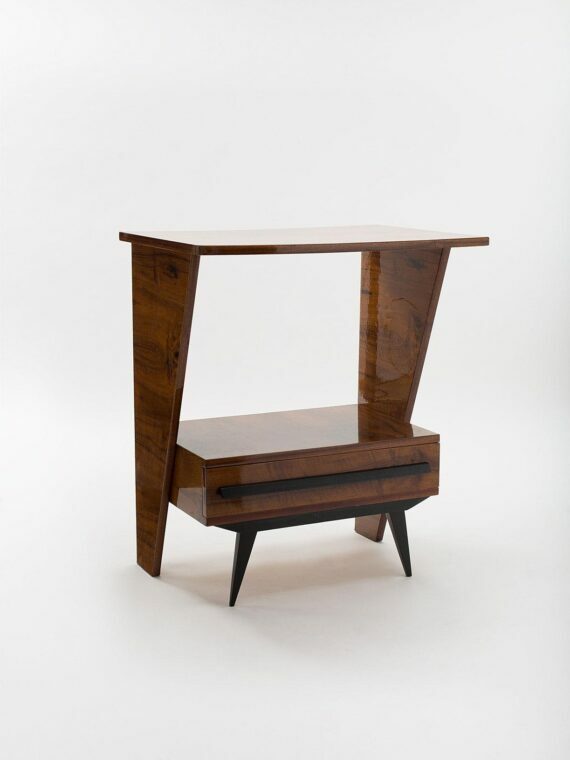 The furniture has undergone a comprehensive restoration, cleaned of an old varnish coat, stained and protected with several layers of semi-matte varnish.